Sweet edit put together by JB of the NSDynamics team at the first National Round at Buller. Rough, rocky, blown out dusty fun. 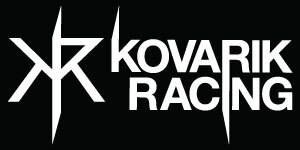 Kovarik Racing are working with young riders Max Warshawsky, Remy Morton, Zac Moss and Phil Piazza. Claire is getting up to speed after injury and Chris is still speedy! Thanks for your support NSDYNAMICS and all of our great sponsors and supporters.